With Readly you can read How It Works - Earth Uncovered and thousands of other magazines on your tablet and smartphone. Get access to all with just one subscription. New releases and back issues – all included. Science has revealed a great deal about our planet, from how it formed and how it has evolved over billions of years, through to its current position in the universe. Although there is always going to be more to discover, right now we have a clearer picture of Earth than ever before. Join us as we journey through the incredible world we live in, exploring its awesome landscapes and weather wonders, as well as its geological marvels and diverse wildlife. Learn about extreme landscapes such as Antarctica, the Amazon rainforest and the African savannah, as well as features such as mountain ranges, meandering rivers, desolate deserts and coral reefs. Discover the scientific explanations behind weather phenomena including supercell storms and tornadoes, as well as the spectacular light shows of the aurora borealis. Understand how they occur and prepare to be amazed! Explore the planet’s geology from volatile volcanoes and destructive earthquakes to incredible rock formations like The Wave of Arizona. Learn how fossils are created and how mysterious structures like the Eye of the Sahara appear. Finally, get to know some of the amazing creatures in the animal kingdom that share our planet, and examine how they have evolved over time, from primates and big cats to ocean giants and birds of prey. 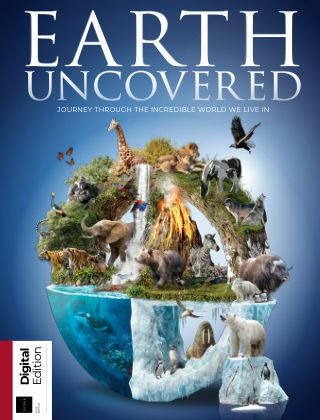 Filled with breathtaking imagery and awe-inspiring facts, there is something for everyone in this stunning book.